Important report incoming: Summer is finally over and fall is here to stay. Behold! I know some of you just chocked on their PSL… My favourite part of fall is damson plum season, it reminds me of good ol’times and gives me a warm, fuzzy, comforting feeling. I know I still owe you the basic damson plum cake recipe like my Grandma used to make it, that I started to write years ago and never finished. But this one is too good and too delish to not share right away with you. 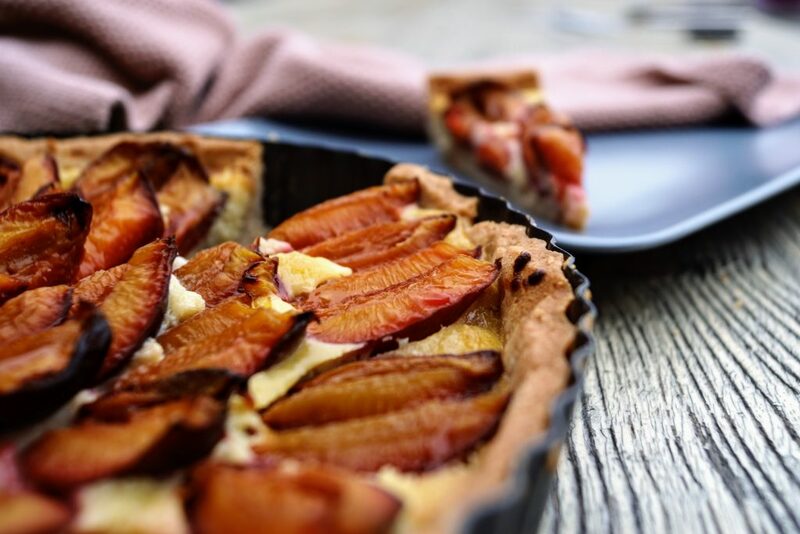 The feedback of my taste testers was overwhelmingly good, not that I had any doubt with this combination of cinnamon pie crust and frangipane/marzipan filling topped off with local, fresh damson plums.